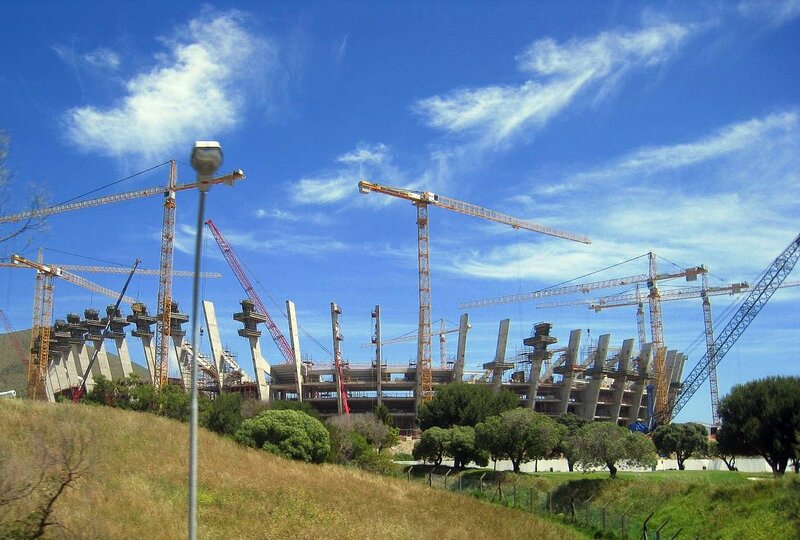 Under construction: Cape Town's new soccer stadium for the World Cup as of October 2008.
that's one massive structure! when did they start building it? Louise, I'm not sure when they started building the new soccer stadiums in South Africa, but I took the photo around October/November 2008 and there was concern they wouldn't finish on time. I'm seriously going through WC withdrawal already!! !